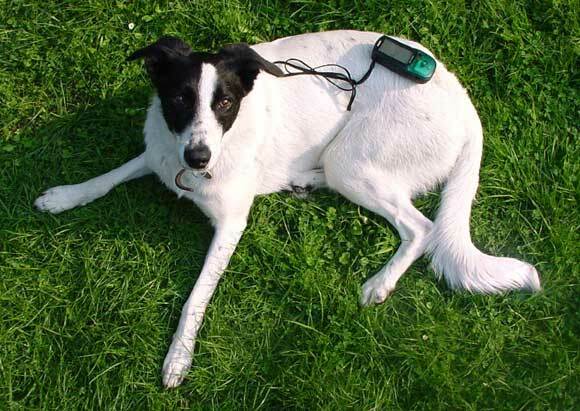 Here is Boris – with the GPS device to record his tracks. It looks like he has even attempted to spell his name. From the middle it goes “b-o-r” and I think the next letter is an “i” and there’s definitely an “s” towards the end. Clever Dog!